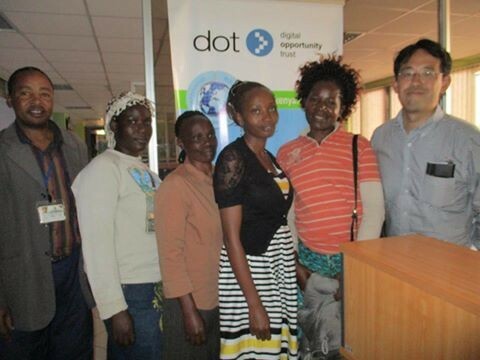 DOT is providing a very good youth training program on ICT and entrepreneurship, collaborating with LBI in Korogocho. We just keep collaborating and DOT platform sponsored by Coca Cola is a very powerful and useful development tool in an informal sector. Thanks for wonderful collaboration! DOT Kenya was eastablished in 2005 to address the critical need to build capacity among local communities to apply techonology to: 1) support economic and social development; 2) improve rate of employment and business start-up; and 3) enhance the role of youth and women in the economy and society.